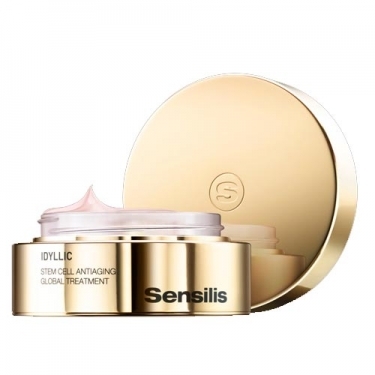 DESCRIPTION: Idyllic Cream from Sensilis is a global anti-aging cream that repairs in an extraordinary way all the visible signs of aging on the skin. 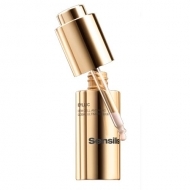 Its unique formula increases the longevity of epidermal stem cells thanks to the Trunk Cell Complex, formulated from a plant stem cell extract. A careful selection of exotic flowers based on Lotus Flower, Lily of the Nile and Pink Lotus restructure, prevents oxidation and unifies the tone. With diamond powder, amethyst and sapphire for intense brilliance. With iridescent reflections to enhance the illuminating action of your skin. The pink texture that surrounds your youth skin and comfort.